This gig was one of the earliest New Order soundboards to be "released" - longtime fans say it was available in Camden stalls in summer 1981, and became the source for many a vinyl bootleg over the years. Because it's been available so many places, and sources, contrary to belief this makes it that much more difficult to track down an early, low-generation source. Seems like *everyone* has a copy, but it's always an Nth generation noisy and muffled dub, or mono, or what-have-you. So when this version was provided, it was a revelation. The originator of the source cassette, that I've mastered this from, says he purchased it at the festival and it arrived by post several weeks later. The question is if it was a dub from the master reel, or a dub of a dub from the master reel. We'll never know. It seemed just "better" than any other I'd heard, and I'd heard a LOT of versions over the years. It took wonderfully to my patented procedures for mastering. I haven't much else to say, the results will certainly speak for themselves. It is a bit bass heavy in the drums/drones on "In A Lonely Place" but it is what it is. "Everything's Gone Green" is a brilliant, seductive workup of what actually became "EGG" - the lyrics are nascent, the performance spellbinding. It's a 13-minute sequenced jam. Bernard, on the other hand... It's pretty well known that he was well out of it here. Oh he starts out OK, his outbursts in "In A Lonely Place" actually enhance the overall forbodingness of the track, but as the show progresses he, shall we say, regresses. In one sense it's embarrassing, but it's New Order. It certainly makes for an interesting gig, one that is a favorite of many. Again, you should bin all previous copies of this (unless you've sat on the master reel for 31 years...). A great gift to an unsuspecting world!! This rendition of In A Lonely Place is my favourite, hands down, even with inaudible Hooky-bass (which I can easily replicate inside my head when listening, anyway). Lovely. Thank you. Do hope you find your way to give some attention to some of the soundboards/FMs from the '82 shows. But the best part of your project for me is not knowing what is coming next. Well done - many thanks again. Another triumph! A vast improvement and a joy to listen to. Any chance you could have a go at improving the dub symphony that is The Rolling Stone, Milan 22.6.82? Or, dare I ask, even The Underground, Boston, Massachusetts 30.9.80? Your effort is very much appreciated. Cheers for doing this, you've done a marvellous job and all these gigs sound fantastic! I really wish I could send you my main desk recording from the Hamburg show in 84 for you to work your magic on. It's probably the best recordings I've ever heard of a NO gig, EGG is absolutely spellbinding.Unfortunately, I promised a 'certain someone' to keep it to myself, which is a shame, perhaps one day. Lastly, we should all thank OZ P.A. 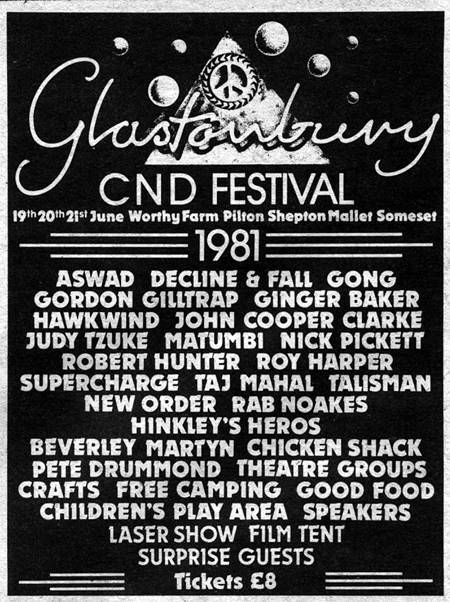 [Oz, Di and Ed] for providing all New Order fans with fantastic sound in all these [and ALL] NO gigs across the years. If there are any awards going for 'unsung heroes' in the history of Mancunian Music since the 70's, these people deserve GOLD medals!!! R.I.P. Griz. If there's the www in heaven he'll be absolutely loving these. Can anyone think of another band where just as high praises are sung of the PA crew as the performers themselves, regularly? Live NO would be absolutely poorer without OZ PA.
Just discovered this site thanks to someone uploading this set (minus the first commercially released track sadly) on a torrent site so thought I'd check out the source. As a casual NO fan but a massive audiophile I have to say - brilliant work. Wish all bands had someone as dedicated to preserving their live archive as you. One small question, and sorry if I'm missing something obvious - I tried downloading the flac files but the folder comes up as "part 1" which is fine, as obviously it keeps the file size down - but where can I find part 2? I assume there is a part 2 as only tracks 1-6 are in the mediafile download? Definitely bookmarking this site. Top job! Wonderful to hear this show in such good quality! Indeed... it looks like Part 2 is AWOL. Thanks for all of your efforts. This gig was first released as a tape to raise money for CND, original copies were dubbed at Better Badges, who also litho printed the inserts and labels, black with a CND symbol on the front. Tapes by other bands were also available. 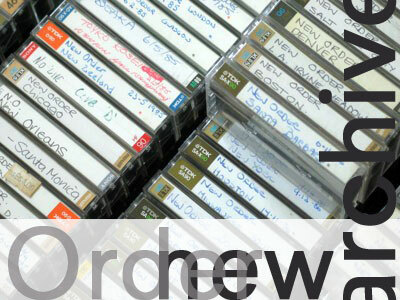 A growing archive of community-sourced high quality soundboard and other non-commercial, archival-quality New Order audio, mastered by Analog Loyalist, for the community. Preserved in lossless FLAC. Hosted by Analog Loyalist, and a spinoff from The Power of Independent Trucking. Thanks for visiting, and if you have high-quality soundboard or other demo material to share, please contact your host at analogloyalist at gmail dot com.